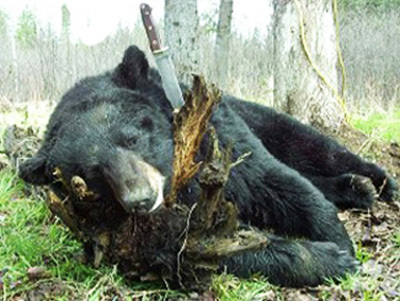 Bear Bone knife customer Don Nadeau used his new Bear Bone hunting knife to gut and clean this 400 lb. Bruin. A true testament that Bear Bone knives can easily hack through tough Bear bones.